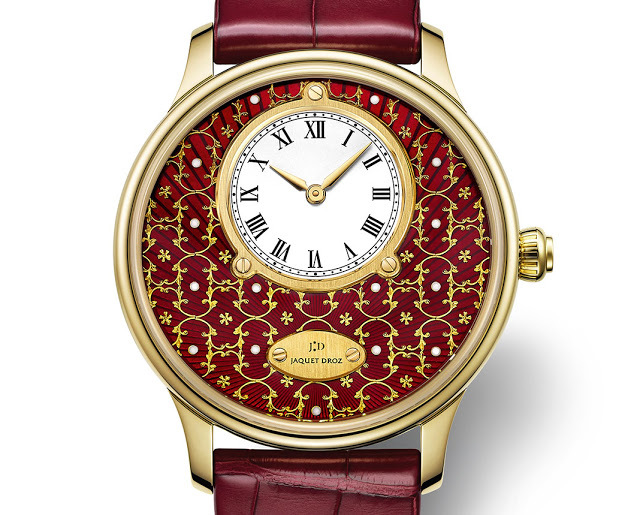 A one of a kind wristwatch in rich red enamel dial decorated with gold leaf for Only Watch 2015. Best known for its unusual dials, the paillonnée dials are arguably the signature Jaquet Droz dial, despite being rare. These have tiny piece of decorative gold leaf known as paillons inlaid into the enamel. 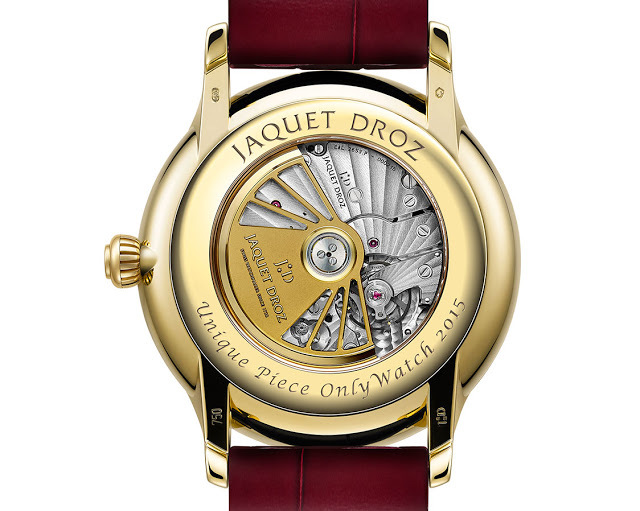 Usually blue (as seen in last year’s Paillonne edition), Jaquet Droz has instead opted for a deep red for the unique Petite Heure Minute Paillonnée made for Only Watch. Matched with an unusual yellow gold case – most Jaquet Droz watches are rose gold – the maroon dial is hand-made and exquisitely delicate. The hands are yellow gold as well, as is the name plate and sub-dial ring on the dial, with both secured by matching 18k gold screws. The movement inside is the calibre 2653, a self-winding calibre with a silicon hairspring and a 68 hour power reserve. This will be sold alongside 43 other unique timepieces, with all proceeds going towards finding a cure for Duchenne muscular dystrophy. The auction takes place on November 7, 2015 in Geneva. 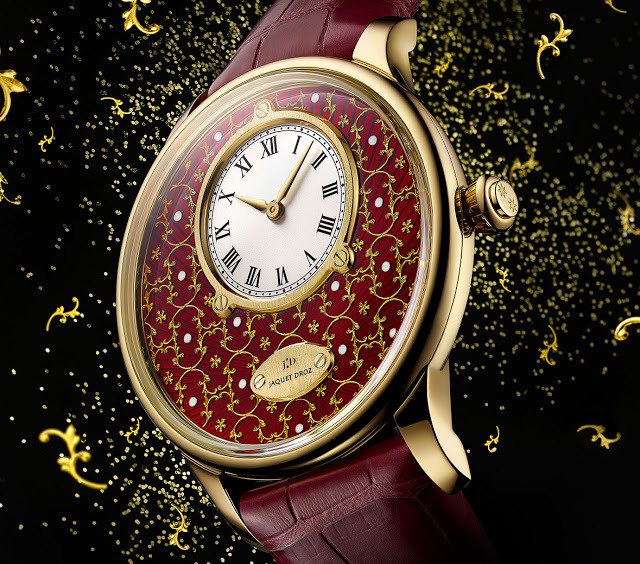 Jaquet Droz brings the art of eggshell mosaic to watchmaking with the Petite Heure Minute Mosaic Elephant, a limited edition of just eight watches. Jaquet Droz has applied its minimalist design philosophy to a new price segment with the Grande Heure Minute Quantième its new entry level timepiece with steel case in two sizes, 39mm or 43mm.